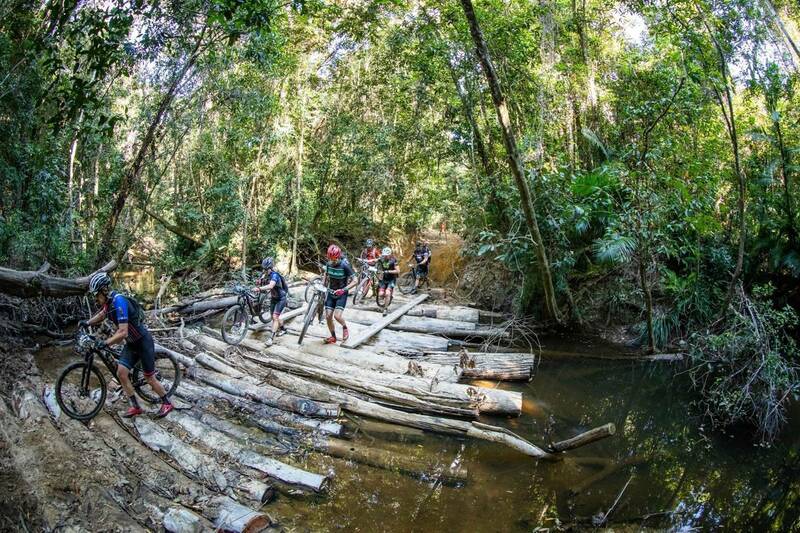 The Reef to Reef MTB Race is a 4-day mountain bike event that just keeps giving! Today tackled Mt Molloy. 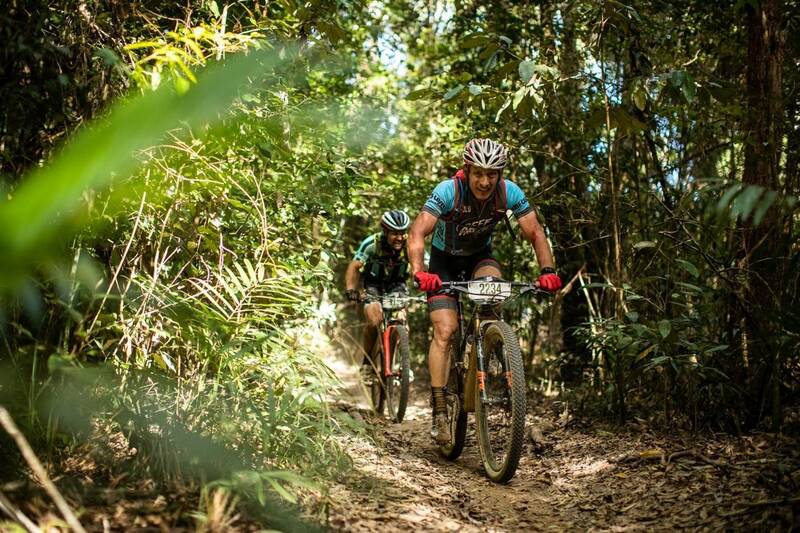 Day 3 of the Reef to Reef dawned, and hopefully everyone else was as stoked thinking that here we are, two days into the 4-day mountain bike event in a tropical paradise and it's only just Saturday morning. Hello weekend! Today's stage was the Queen Stage, meaning it would be the longest of the event. It doesn't guarantee it is the hardest, but sometimes they are. Starting up at Mt Molloy, high up on the Great Dividing Range, meant a start just on dawn to drive up from Port Douglas. For those who weren't behind the wheel, you would have seen the glorious sunrise as the sun came up above the Pacific Ocean, and if you were at the wheel you still would have seen the morning sun lighting up the grandeur of the range and the tropical farmland. This is a beautiful part of Australia that a lot of us don't take the time to visit. And Tropical North Queensland was serving up a bluebird winters day for all of the riders and supporters at Reef to Reef. This area is a bit of an interesting one. It's close to where the infamous Bump Track is, but it's a long way up the road (in a southern sense) from places like Atherton, Smithfield or Davies Creek. 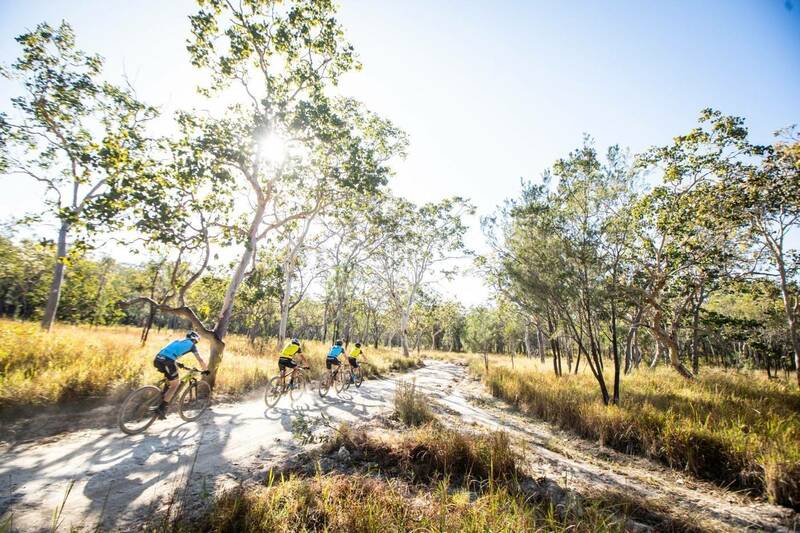 That doesn't mean there is no trail though, with 4WD trails, dirt roads, quad bike trails and moto/mountain bike trails twisting through the forests and grasslands. 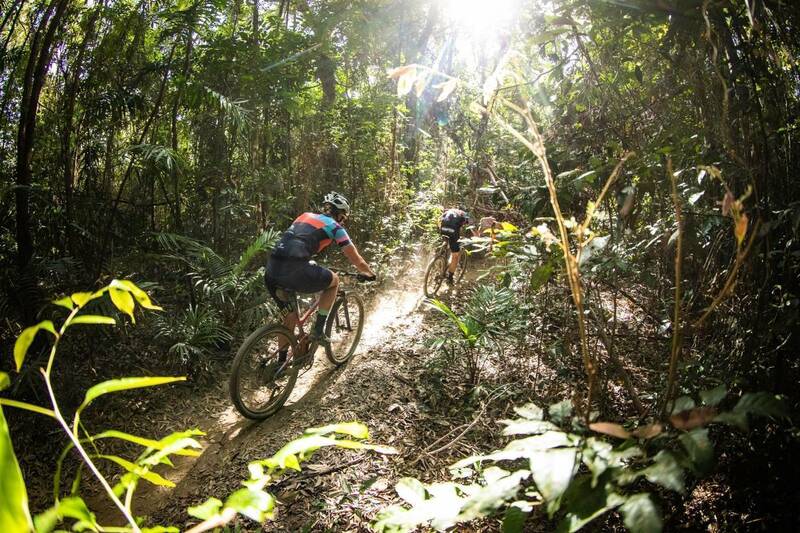 If you end up chatting to a local mountain biker (and you should), you'll find out about more trails. Sure, they are usually quasi-legal, and I've been warned about never following half-submerged ag pipe due to the area being 'crop country' - but there's lots to do up here with a bike. We took off at 8am sharp and the leading teams quickly set about making sure they stayed in their current positions. The super-dry conditions and morning light made a veritable dust cloud that hung in the still morning air, dropping visibility to hold-on-and-hope levels at some points. We skirted past the entrance to Wetherby Station, with the owner John assisting with marshall duties. His station will be hosting the start of stage 4 and the RRR tomorrow, but this really wasn't the time for any sighting - it was time to race. And given today was pretty non-technical, there would be a lot of groups forming. I'm here racing with my wife, and we were around some of the other mixed teams, a masters team from Bicycle Central and the leading ladies. But, given the single scene race starts a few minutes behind out race, we were caught as we turned off the dirt roads into some moto trails, and the leading solo men had to make their way through. There would have been plenty of teams behind us too, so it does make a bit of a divide. Personally, mixing solos and pairs in a race is never clean. I'm a believer in pairs racing and hopefully the Reef to Reef matures into a pairs only event. We'll see if that's what popular opinion leads to. Up front, the super charges of Jon Odams and Brendan Johnston were racing with leading Masters Brad Clarke and Rohin Adams. While Clarke and Adams are leading the Master's category, that can't be a walk in the park - it's the strongest category here. 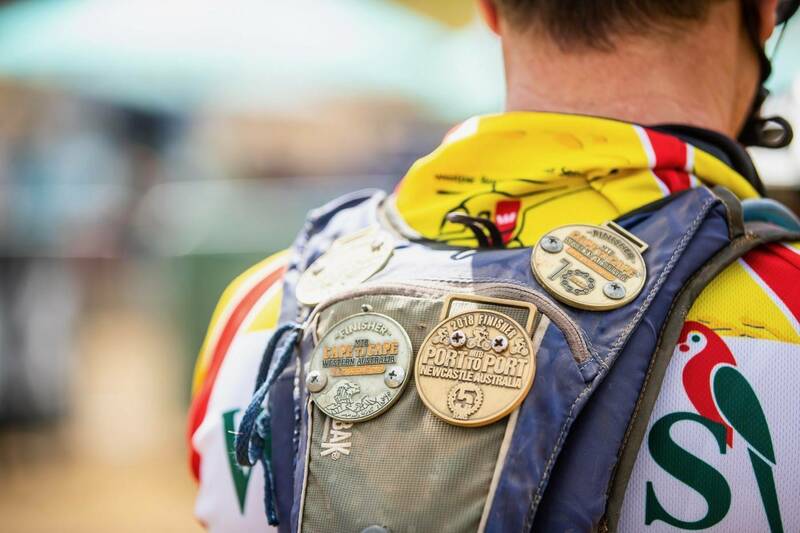 "With Masters, for me I was a late comer to the sport and got addicted quite quickly," said Brad Clarke, who is racing with Rohin Adams on the Total Rush-Mornington Cycles super team. "From a Masters category perspective, most people are relatively settled in the careers, they've got a bit of an expendable income so they can afford to go away to these races, and in a lot of instances they can structure training in with their normal life. And people like myself have a bit of a burning fire after coming in late to the sport, and want to be at a high level. 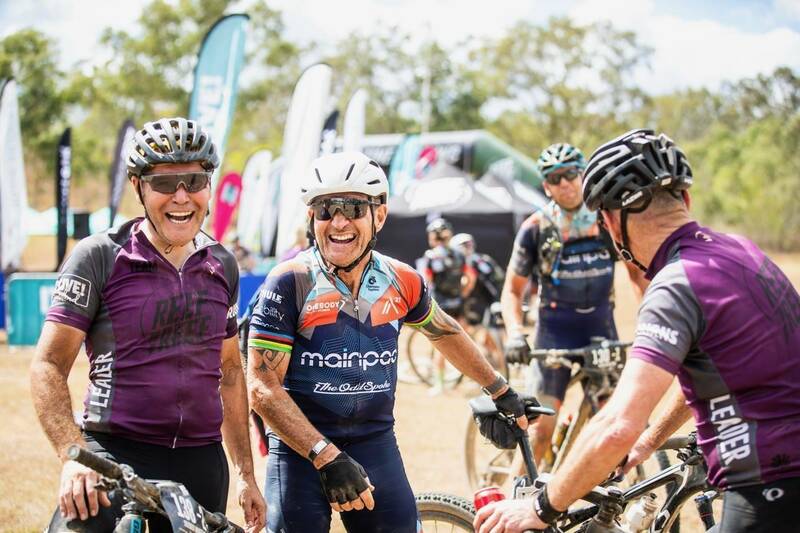 In the end, as a show of sportsmanship Odams and Johnston didn't contest the stage win with Clarke and Adams, and all four racers came in in a scorching time of about 2hrs and 10 minutes - that is crazy fast for the stage which was about 65km long. "We came across the line first," said Brad Clarke post race. "We were very lucky that the other guys were quite gracious and said we could take the line honours today. It's a pretty monumental thing for us, getting the leader's jersey yesterday and getting an overall win today." Samara Sheppard and Kyle Ward seemingly had a faultless race to stay in the lead in the Mixed category, riding out of sight from the rest of the mixed field early on. Today, Em Viotto and Karl Michelin-Beard rolled in second in the mixed field. 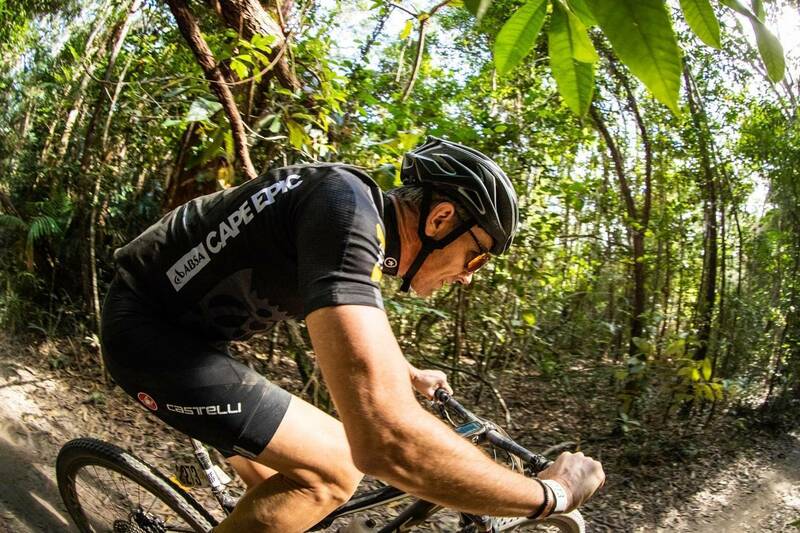 Karl is usually a semi-pro roadie, and looks to be adapting to the mountain bike life pretty well. 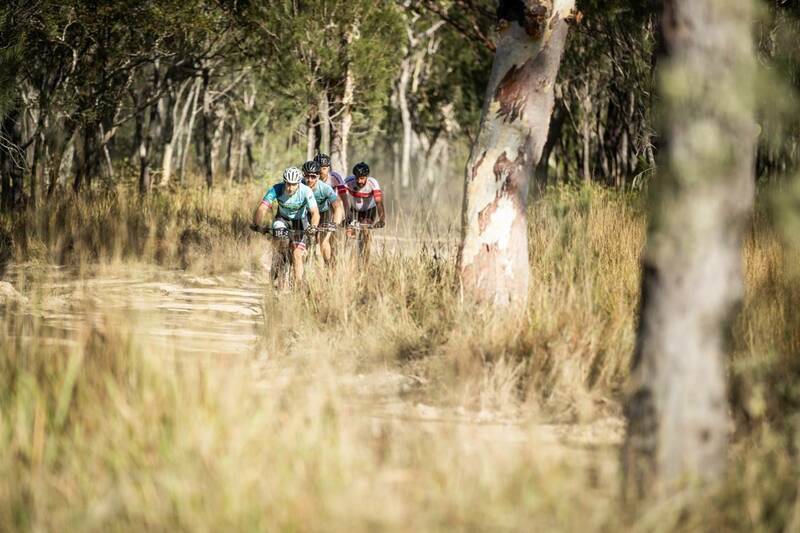 "I've done Easter in the Alice and The Willo, and this is probably my third stage race," Karl said after the race. "I love it, it's amazing. A bit different to the road but a lot of fun. Our communication is really good, we've overcome a few hiccups from the first stage which was our first race together. We're getting on really well. The trails have been sublime and I have really enjoyed them. Coming from -4 and what-not in Canberra has been good - both Em and I enjoy a tan." 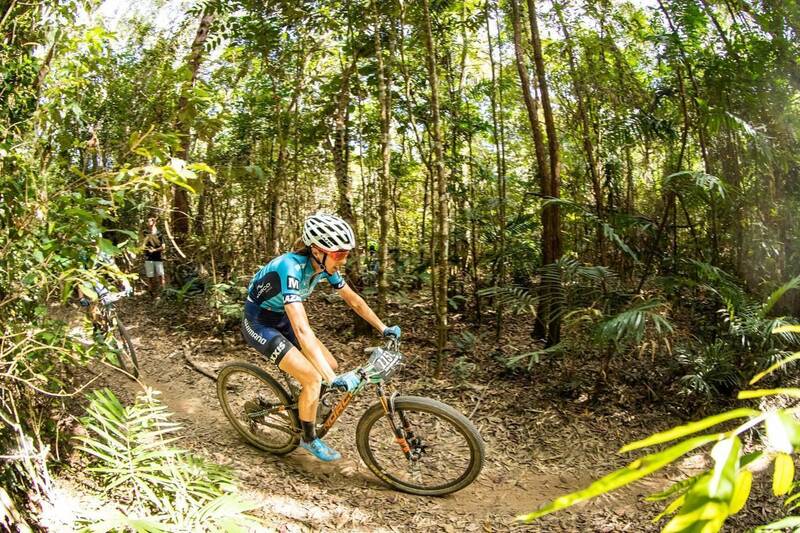 Anna Beck and Briony Mattocks had what looked to be a hassle free day in the lead of the women's race. 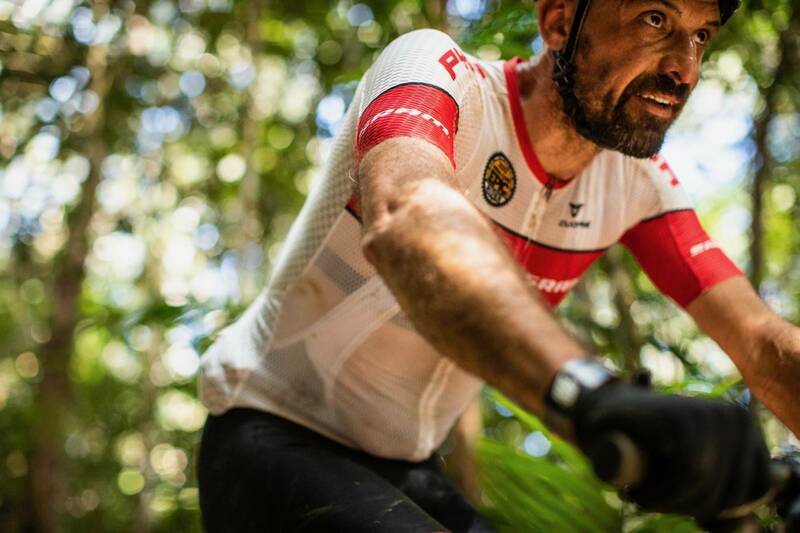 "It's a really varied race and today was a bit of a road race where you needed to make the most of the singletrack when it happens, and it was super fun." Looking back, today was another short and awesome day on the bike, yet quite different to the days preceeding. For many, that's one of the strengths of the event. "I think the variety is a real positive for the event," said Brad Clarke, one of the leading Masters duo. 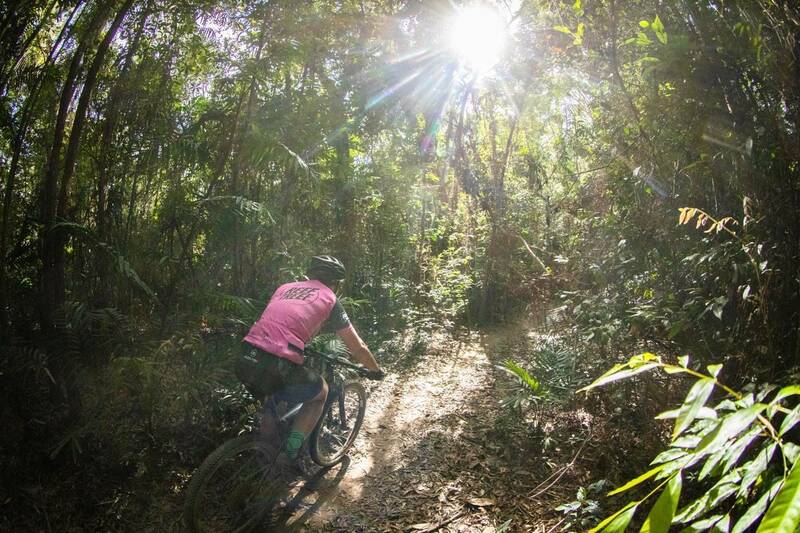 "That first stage in Smithfield even thought it was short, was very hard and a lot of fun riding in the rainforest and jungle area. 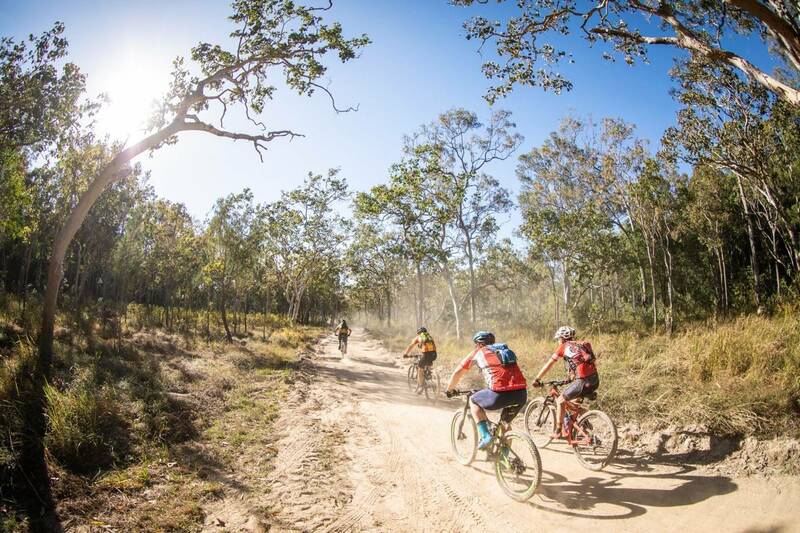 The diversity of then yesterday at Davies Creek where it was quite rugged and raw, which was kind of cool, and then today looked like an easier stage but it was actually quite hard!" 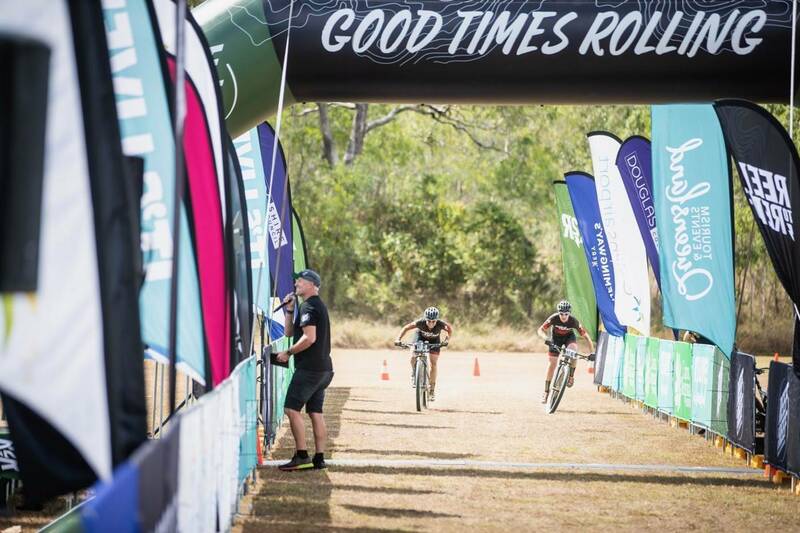 So now there is one stage left, as all racers will take on a new route from Wetherby Station, around the property and into the Bump Track towards 4 Mile Beach and the finish line in front of the Port Douglas Surf Club.